All WP EasyCart extensions are new plugins that you install, just as any plugin from WordPress.org or other external site. As a Premium member, you can access and download all extensions and apps via your Premium Content area. Just look for the menu at the top of www.wpeasycart.com. Professional license holders must upgrade in order to access the extensions. So how do you install a plugin? 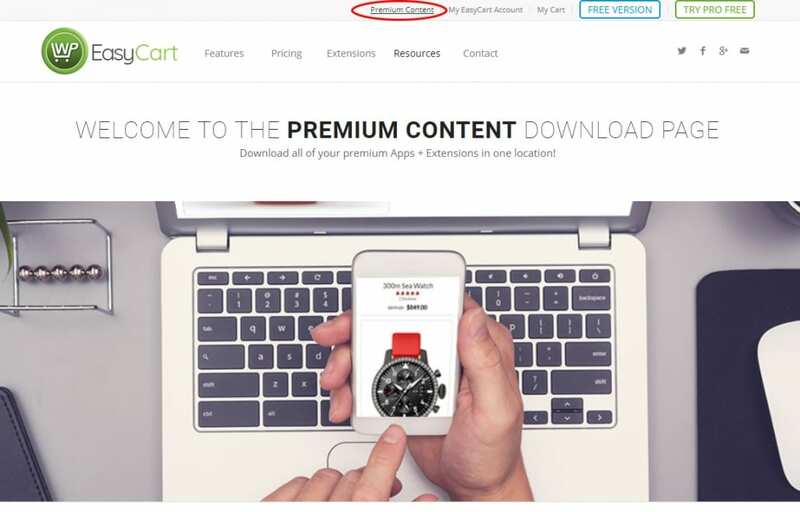 All premium members must log into www.wpeasycart.com/my-account and you can access the premium content using the menu at the top. Once logged in, you should be able to download all the extensions as .zip files. These .zip files do not need to be opened! Just keep them in a .zip format as you will upload them as a plugin to your wordpress. Note: Some Mac computers will try to open them automatically… you will need to download just the file, no opening is necessary. Now that you have a .zip plugin file, you simply upload it to your wordpress as any other plugin would be manually uploaded. 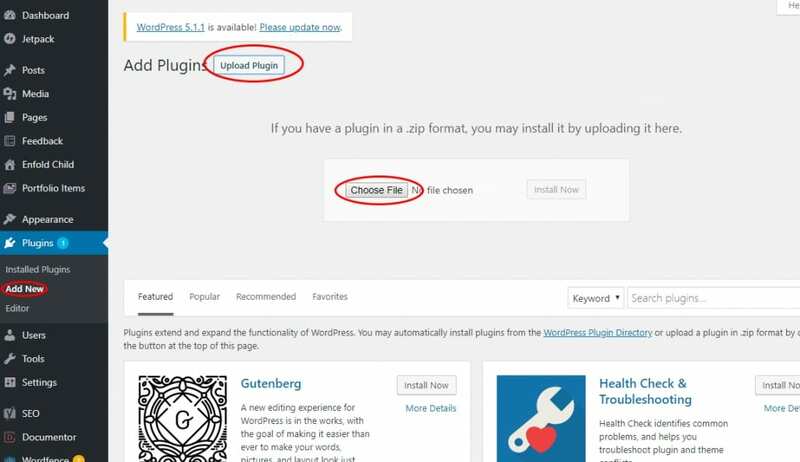 Go to your WordPress -> Plugins -> Add New -> Upload and browse to your .zip file. That’s It! All Done! Now that you have the plugin installed, each has a unique set up. Some require you to connect to an API with the parent company, others add new panels to your EasyCart system. Refer to the next document section specific to your plugin for further instructions.